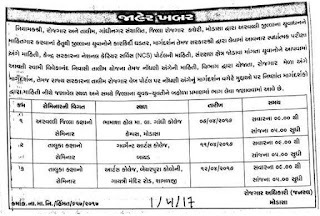 District Employment Exchange Office Modasa, Aravalli Published Notification for Career Seminar 2017. 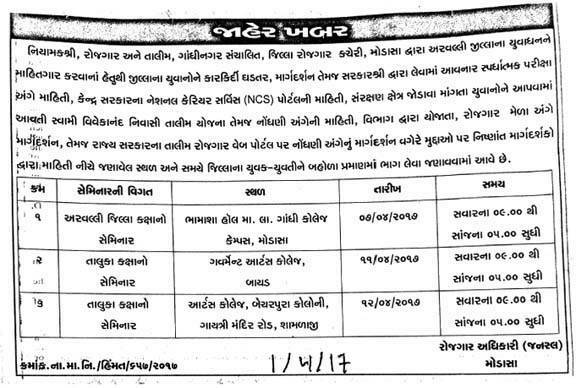 Seminar Address : Bhamasha Hall, M. L. Gandhi College Campus, Modasa. Seminar Address : Government Arts College, Bayad. Seminar Address : Arts College, Becharpura Colony, Gayatri Mandir Road, Shamlaji.